Most of the jewellery is displayed in rotating vitrines. OMA designed this rose-gold coated stack of display drums. 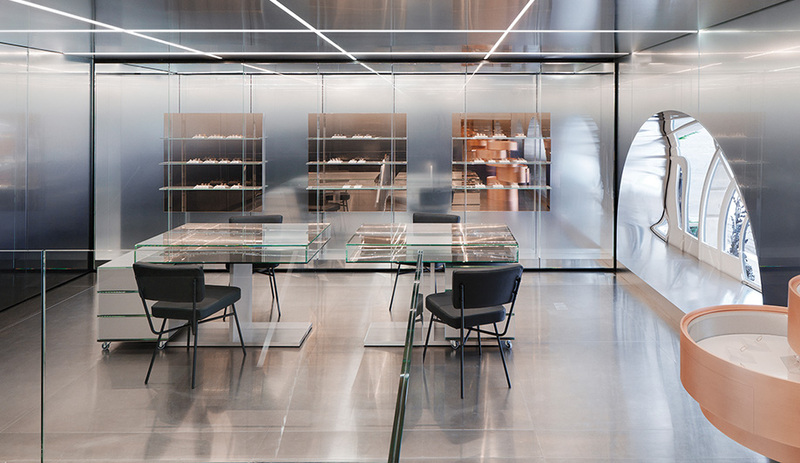 The Italian jewellery company revamped its store in Paris with an interior by OMA that barely shows what it sells. 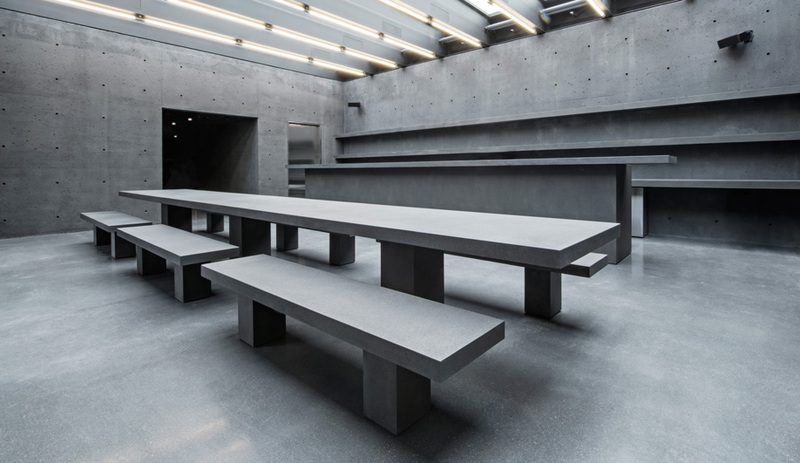 Depending on the moment you arrive at the Repossi flagship in Paris, you may see a selection of jewellery on display, or else you will find mirrored walls turning in slow motion. Thanks to a controllable system of panels that rotate like old Trivision billboards, vertical rows of softly lit, prism-shaped vitrines that contain exquisite rings and ear cuffs cycle in and out of view. 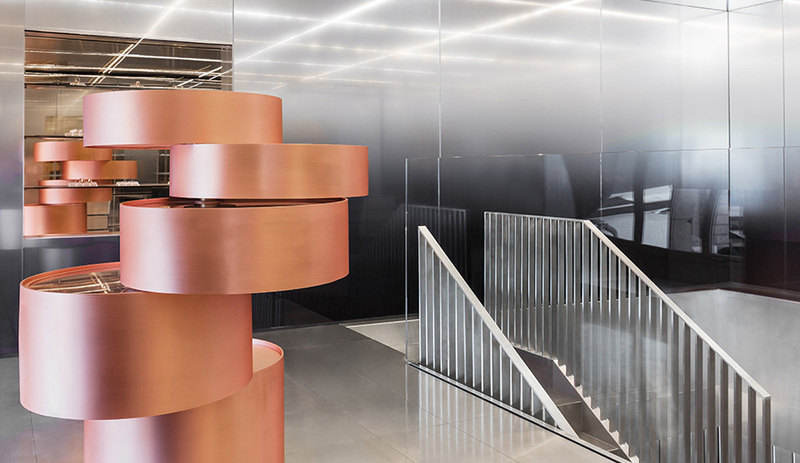 If this kinetic feature seems radical for an haute jewellery shop, it’s in sync with the Repossi aesthetic, which took a sharp architectural turn after Gaia Repossi became creative and artistic director of the family business nearly a decade ago. On the Place Vendôme, where the brand has long occupied a compact space compared to its larger neighbours (which include the newly reopened Ritz Paris and additional high-end retail), the redesign presents Repossi’s many collections within a system that integrates space-age materials with gradient colour and motion. 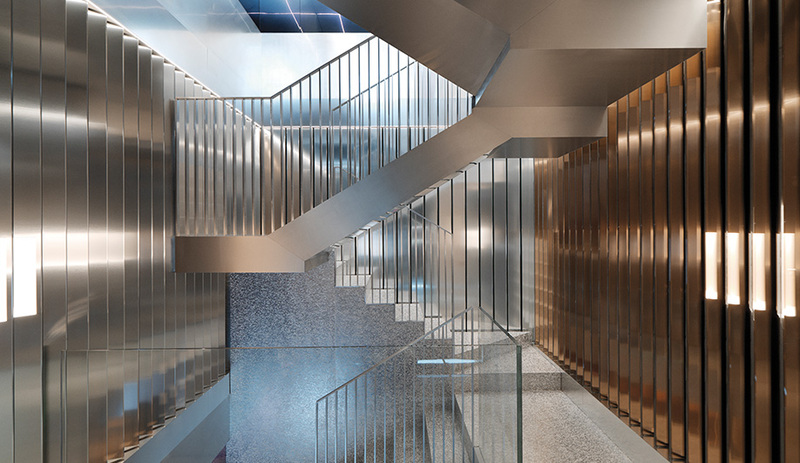 Repossi asked OMA to realize a vision that would address luxury more experientially than a glossy, baroque backdrop could. 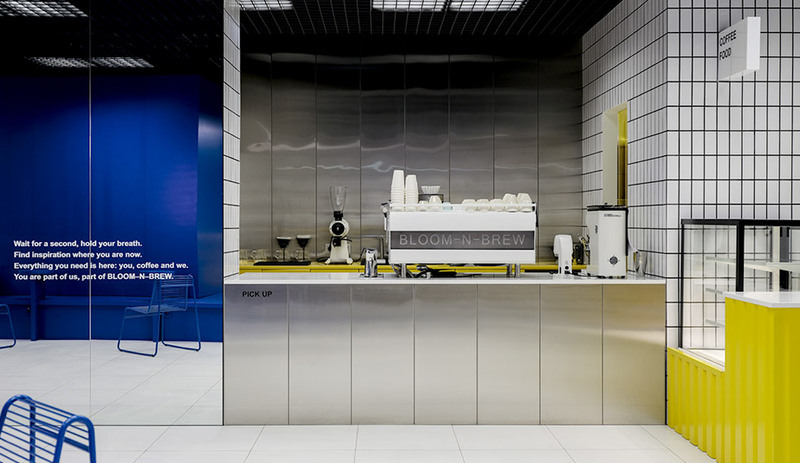 “The store has a good balance in terms of intensity of products displayed in an architectural container,” says project lead Ippolito Pestellini Laparelli. Arriving at this, however, was not without challenges. For starters, the store spans three floors, and the staircase consumes a large part of its 90 square metres. Whereas the building’s blocky base was excavated to accommodate storage, the metal steps had to shed enough weight to appear suspended between the ground level and the mezzanine. 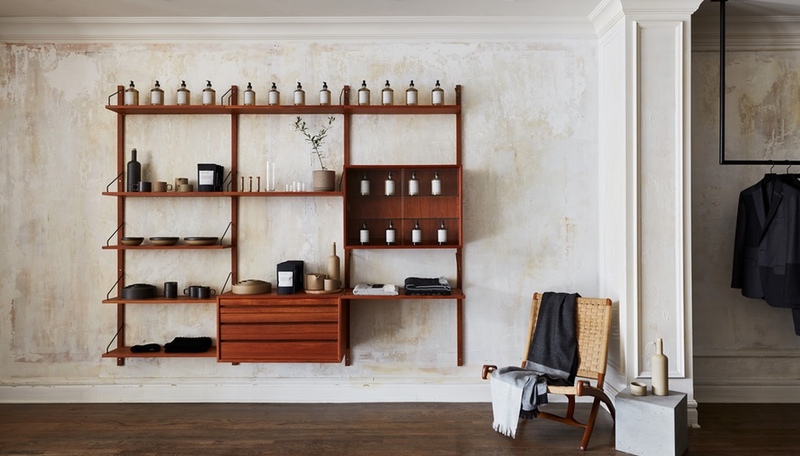 Likewise, the tonality of the walls, as executed by Rotterdam’s Sabine Marcelis, transitions vertically from warm bronze mirrors to cool grey-blue; from earth to sky. 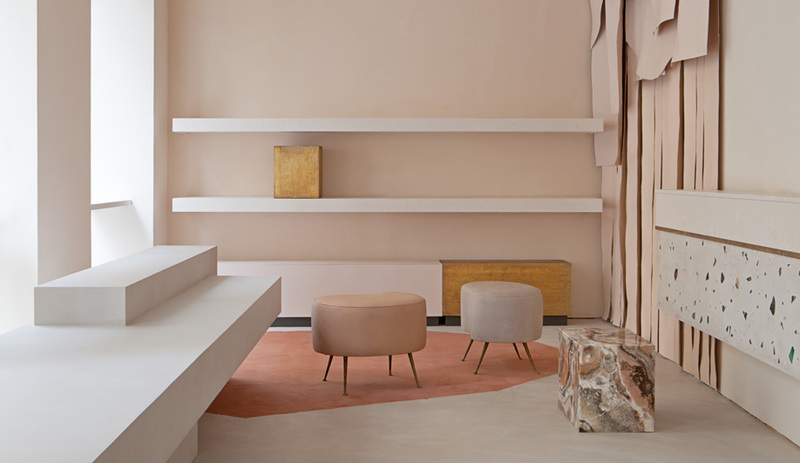 Designated as the “gallery” and furnished with OMA-designed desks and Franco Albini chairs, this upper floor delivers what the firm envisioned as a slower retail experience, allowing customers to purchase more accessible pieces. This “slow” shopping yields to the “very slow” intimate salon below. Down there, punctuated with furniture by Donald Judd, clients might spend time designing unique custom pieces. For each floor’s distinct rhythm and design, the flooring – a structure of foam filled with resin – offers a constant. Pestellini Laparelli notes how the lightweight aluminum material, used by NASA, gives the impression of neo-terrazzo yet remains consistent with the store’s metal message. Still, the mechanical displays are the pièce de résistance. In collaboration with Italian manufacturer Goppion, the panelling evokes any number of metaphors, from clockwork to an even more timely statement on protection. Although the concept of creating “a void” was the initial goal, Pestellini Laparelli doesn’t rule out the significance of concealing the jewellery. “It’s also about closing off something that is really precious,” he says. Repossi is located at 6 Place Vendôme, 75001 Paris.